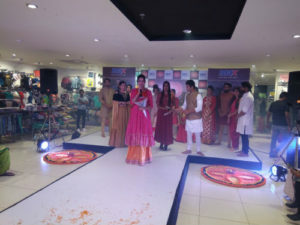 Bhubaneswar: Max Fashion celebrated the advent of Durga Puja and Dussehra by launching their festive collection along with ArchitaSahu, popular Indian actress and model at Patia Damana Chowk today. Archita looked ethereal donning the timeless festive collection from Max. The collection is about bringing back the rich grandeur of Indian tradition yet giving it a modern touch. With over 3000 styles to choose from, Max through its ‘Tavisha’ range, offers a variety of stylized garments comprising classic combinations of voluminous, vibrant and layered skirts with trendy cholis or crop tops which completes the grand look for the festive season. 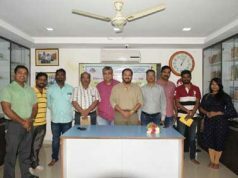 Speaking on the occasion, Mr. Rajib Mukherjee, AVP, Max Fashion, said, “Max as a brand, understands the value of quality time with your family and friendsduring the merry festive season. Consequently, we are pleased to announce the exclusive festive collection all over India. It is a mix of traditionand recent trendsthat you will appreciate while shopping with your family.In fact, you can even handpick the five exclusive looks for festive from your nearest Max store.”“Festive season is such an invigorating and cheerful time in India. It has been a joy to connect with Max all over again and launch their exclusive festive collection. The five exclusive looks curated by Max is a hands-on guide for every fashionista looking to style themselves this festive season”, mentioned ArchitaSahu, popular Indian actress and model, who was looking fabulous in ensembles from the Max Festive collection.